The Northwest Florida Daily News is a 20,000 circulation paper out of Fort Walton Beach, Fla. The staff has been using email and newsletters for quite some time, but had never tried out a birthday campaign. 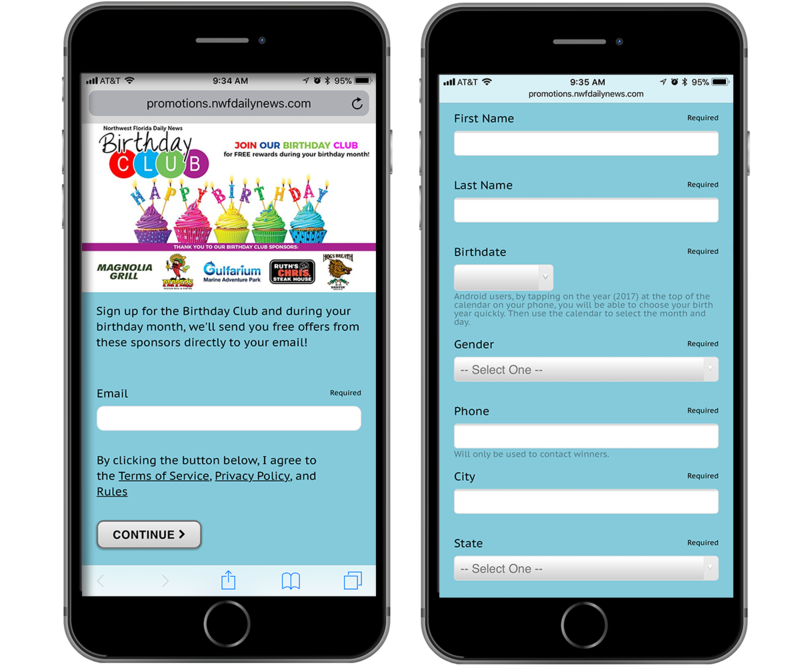 Diane Winnermuller, publisher, saw an opportunity to develop a year-long campaign, and after talking to the local markets, decided a birthday email could be a great way to drive new revenue and increase engagement. To get started with a birthday email, you need to develop a database with your users' birthdays. While the paper had already been collecting birth dates through earlier initiatives and had a good amount to start with, the staff made a dedicated effort to continue to grow the database. Michele Walden, digital events and promotions manager, and Dana Pruitt, digital fulfillment and contests/promotions specialist, developed a game plan for managing the Birthday Club campaign and all the accompanying pieces to make it a success. 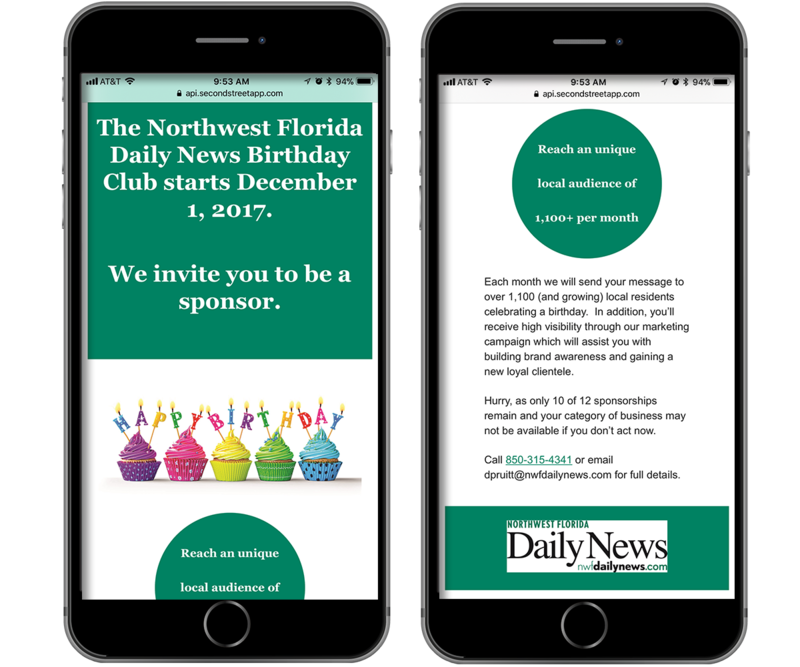 The paper is now running a local print, digital and social marketing campaign directing people to its Birthday Club sign-up page. They are also sending out quarterly emails to the full database (excluding those already enrolled) to join the Birthday Club. 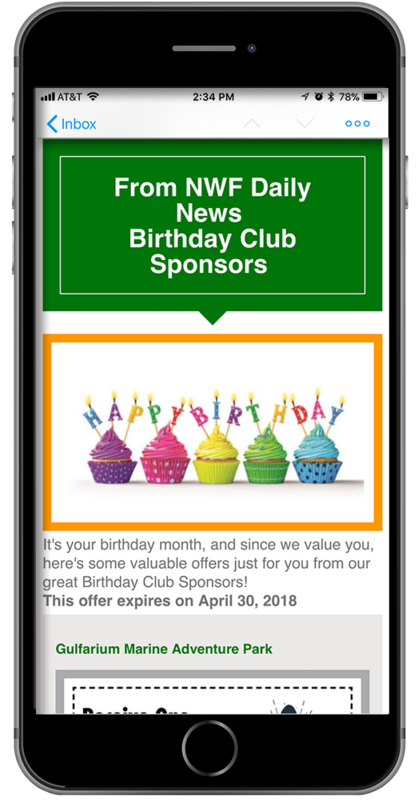 Since the team wanted this to be an opportunity to drive revenue, they designed the birthday email to incorporate coupons from local businesses. 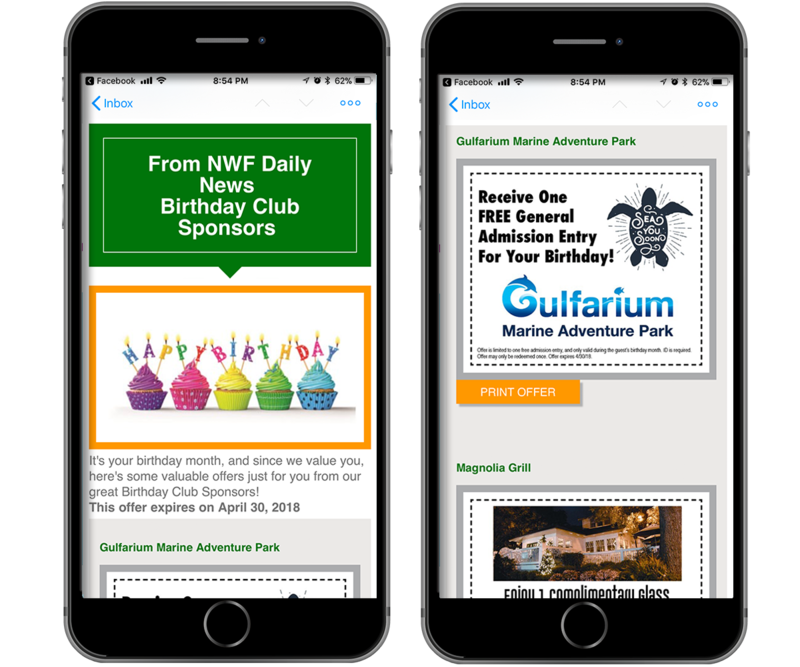 Not only would offering coupons allow them to drive revenue from sponsorships, but by enticing their users with birthday offers, they'd keep them engaged with the paper. For everyone enrolled in the Birthday Club, they would receive two birthday emails. The first would be sent on the first day of the month. In addition, they also set up a reminder email to use their birthday offers which would be sent during the third week of the month. The next step was building email campaign sponsorships. The paper started by designating 12 specific advertiser categories (including a steakhouse, winery and local attraction) and selling each of these categories exclusively. The paper did not want any of the sponsors to feel as if they were competing with one another. These annual sponsorship packages were available for $1,000 per month. These robust sponsorship package, which leverage all aspects that the Northwest Florida Daily News has to offer, presents the most value to the advertisers. By signing up advertisers for a 12-month commitment, the paper is able to drive recurring revenue month after month. And by sticking to its exclusive advertising categories, the staff is able to continue searching for additional sponsorship opportunities as well. This campaign has been very successful for the paper. In just three months, the paper grew its local database from 11,000 to almost 20,000. Now its averaging about 1,300 new users per month. Beyond the database, this has also become a major revenue driver. Each month, the paper is attracting more and more advertisers. So far, the email campaign has generated $80,000, and the staff is hoping to generate even more. Plus, sponsors have been able to see real results as users come in and use their coupons. The team is using the Birthday Club as a great learning experience. Each month, the team evaluates the results of the email and ensures that they're maximizing results for both the Northwest Florida Daily News and its sponsors. The team looks forward to using this campaign as inspiration for an annual promotion to tie in with the paper's weekly entertainment guide.